Richard O’Keefe, accused in crash. 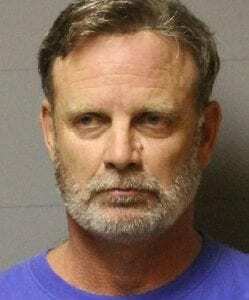 A retired Carmel police officer, former Carmel town councilman and previous member of the Mahopac Board of Education is facing felony charges of aggravated vehicular homicide and seconddegree vehicular manslau… Please login below or purchase a subscription to the Putnam County Courier to access this content. 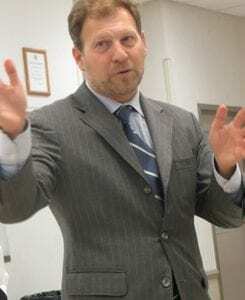 Putnam’s representative on the MTA Board, Neal Zuckerman of Garrison, addresses Monday’s meeting in Patterson. Residents of Patterson are up in arms over a 180-foot tall monopole planned for a Metro-North Railroad rightofway off Route 164… Please login below or purchase a subscription to the Putnam County Courier to access this content. Randy Jurgensen and Tim Motto are lauded by the FOP at Tuesday’s meeting in Carmel. Joining the two heroes are County Executive MaryEllen Odell, FOP President Kevin Sheil, FOP President Emeritus James O’Neill and Jurgensen’s eight y… Please login below or purchase a subscription to the Putnam County Courier to access this content. Commuters to New York are encountering increased security this week following the acts of terrorism in Paris. MTA police are patrolling more frequently, many with canine teams and carrying heavier weapons Uniformed and plainclothes patrols have been… Please login below or purchase a subscription to the Putnam County Courier to access this content. Rebate checks for the majority of Putnam property owners will soon be in the mail. The NYS Department of Taxation and Finance reported last Friday more than 2 million checks as part of a state-wide tax-rebate program will start heading to the post o… Please login below or purchase a subscription to the Putnam County Courier to access this content. 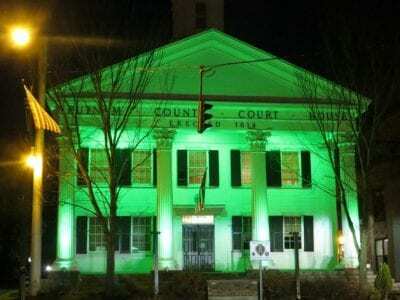 The historic Putnam Courthouse is illuminated in green this month. Putnam County leaders are calling attention to the professional and personal struggles some veterans face once their military service comes to an end by illuminating the Putnam Courth… Please login below or purchase a subscription to the Putnam County Courier to access this content. 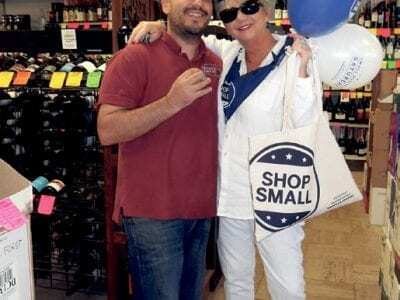 Rose Aglieco visits Greg Semmeles to get his support for Small Business Saturday. Businesses in Brewster are gearing up for Small Business Saturday, planned for November 28. Brewster Chamber of Commerce Executive Director Rose Aglieco explained Sunda… Please login below or purchase a subscription to the Putnam County Courier to access this content. Partners with PARC, a nonprofit dedicated to securing the financial future of people with disabilities, will host the 3rd Hudson Valley Wine and Chocolate Festival on Sunday, November 22, just in time for Thanksgiving and holiday shopping. The event… Please login below or purchase a subscription to the Putnam County Courier to access this content. The annual Croton River Coin Club’s free appraisals of U.S. and foreign coins and paper money as well as stamps, medals and tokens is expected to attract large crowds to Carmel FD headquarters this weekend. With the price of gold and silver fluctuat… Please login below or purchase a subscription to the Putnam County Courier to access this content.